When I was a little girl growing up in the South Valley of Albuquerque, I was introduced to Natillas by a chef named Leroy who cooked in a little cafe on Bridge Street near the river. He took great delight in watching me eat it and most times, when he saw us coming into the restaurant I believe he began a batch just for me because he always had it warm and those were the days before microwaves! 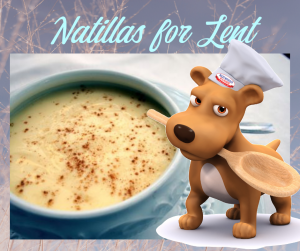 I didn’t know until recently that Natillas is considered to be a dish for Lent. I’m so happy Leroy made it all the time! If you’ve never tried it, it’s creamy, vanilla pudding and really simple to make. In a medium size bowl combine sugar, flour, salt, egg yolks and 2Tbs. milk. Stir to make a smooth consistency. Add sugar mixture to boiled milk. 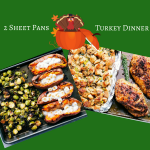 Cook over medium heat for 10 minutes stirring constantly. Remove from heat and stir in vanilla. This is wonderful when served warm but many prefer it chilled. Your decision!